Check out this 2012 GMC Terrain SLE-2. Its Automatic transmission and Gas/Ethanol V6 3.0/183.1 engine will keep you going. 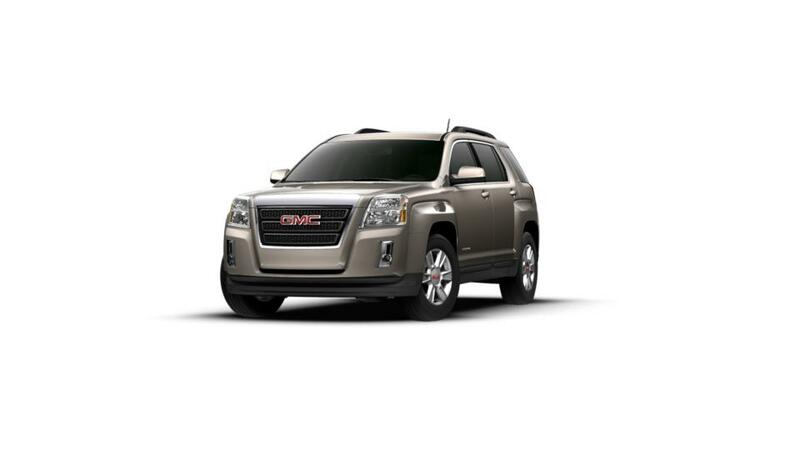 This GMC Terrain has the following options: WHEELS, 4 - 18" X 7.5" (45.7 CM X 19.1 CM) CHROME-CLAD ALUMINUM, TRANSMISSION, 6-SPEED AUTOMATIC (STD), TIRES, P235/55R18 ALL-SEASON, BLACKWALL, SLE-2 PREFERRED EQUIPMENT GROUP Includes Standard Equipment, SEATS, HEATED DRIVER AND FRONT PASSENGER, SEATS, FRONT BUCKET (STD), REMOTE VEHICLE START includes extended range Remote Keyless Entry, REAR AXLE, 2.77 FINAL DRIVE RATIO, MOCHA STEEL METALLIC, and LPO, PROTECTION PACKAGE includes front and rear all-weather floor mats and front and rear molded splash guards. Stop by and visit us at Cavender Buick GMC West, 7400 West 1604 North, San Antonio, TX 78254. Check out this 2012 GMC Terrain SLE-2. Its Automatic transmission and Gas/Ethanol I4 2.4/146.5 engine will keep you going. This GMC Terrain features the following options: WHEELS, 4 - 18" X 7.5" (45.7 CM X 19.1 CM) BRIGHT MACHINED ALUMINUM, TRANSMISSION, 6-SPEED AUTOMATIC (STD), TIRES, P235/55R18 ALL-SEASON, BLACKWALL, STEEL BLUE METALLIC, SLE-2 PREFERRED EQUIPMENT GROUP Includes Standard Equipment, SEATS, HEATED DRIVER AND FRONT PASSENGER, SEATS, FRONT BUCKET (STD), REMOTE VEHICLE START includes extended range Remote Keyless Entry, REAR AXLE, 3.23 FINAL DRIVE RATIO, and LICENSE PLATE BRACKET, FRONT. See it for yourself at Cavender Buick GMC West, 7400 West 1604 North, San Antonio, TX 78254.